There are currently 93,329 users on this website. 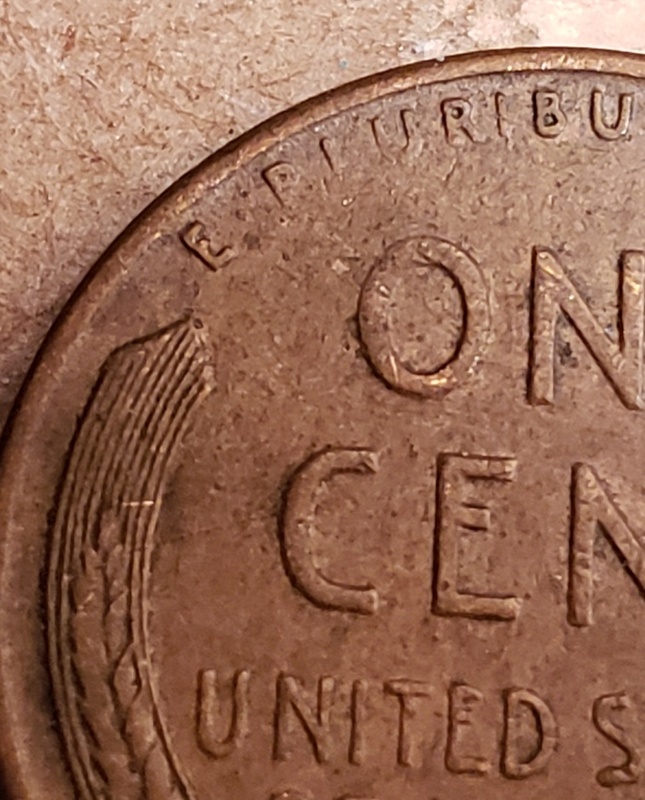 1958 D Penny Reverse Pluribus Grease Strike? 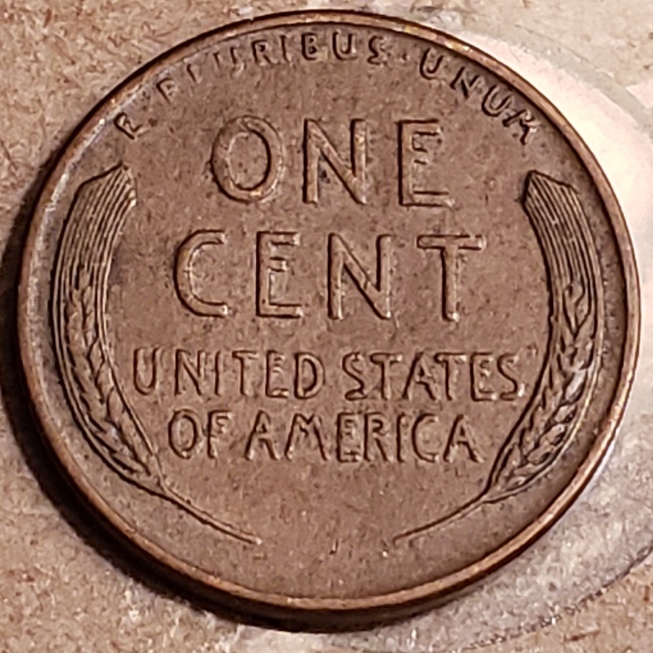 The rest of the penny is sharp. Is this part through grease? 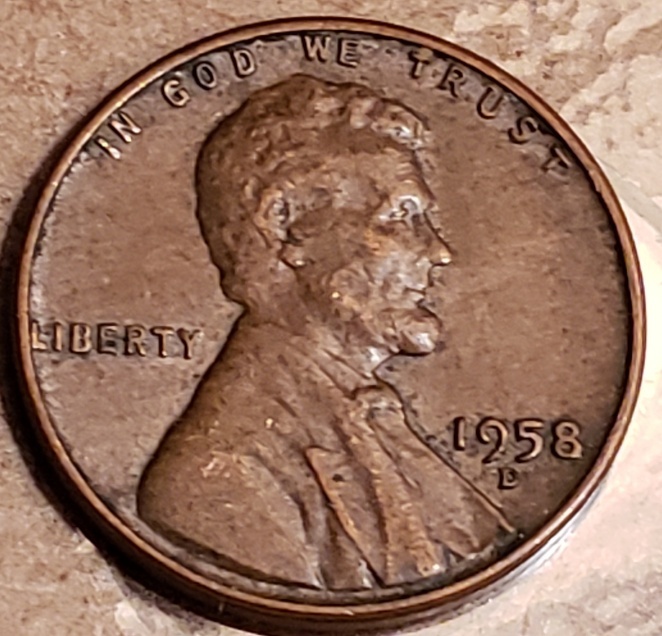 Or was this a worn die? I am thinking that it's more of an issue with damage ( PSD), rather then a Struck Through Grease error. I lean toward a partial grease effect. I agree with Coinfrog. Looks like a small greaser. Perhaps a little of each--in any case, I don't think that the effect is strong enough to add a premium to this cent beyond being a LWC. @BC12, if you continue to look through these cents, you should be able to find a better example I think. I have a lot so I am practicing on the bucket of pennies first as I am a beginner. Then I will try the silver coins. I agree that EPU is showing some minor grease strike-through effects. How are the devices affected? They look wider. So it could be either. But the thing that is missing is that there is not metal movement or device distortion. So it is a struck through grease issue.